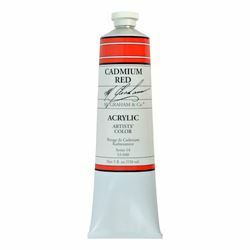 The most intense and beautiful color possible combined with an easily worked extremely smooth texture produce a true artists' acrylic color to meet the demands of today's professional. 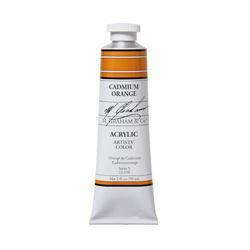 Colors are individually made without compromise using only the finest artists' pigments and pure acrylic emulsion vehicle - free from extenders and adulterants. Permanent, intermixable and compatible with all other acrylic colors and mediums. M Graham Acrylic 60 ml. 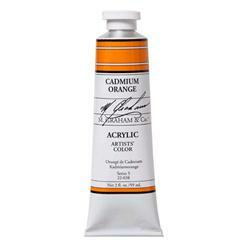 M Graham Acrylic 5 oz.